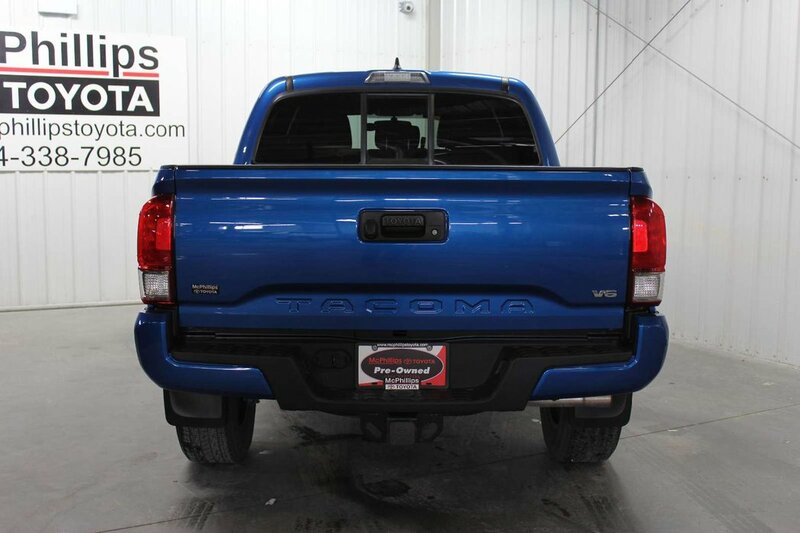 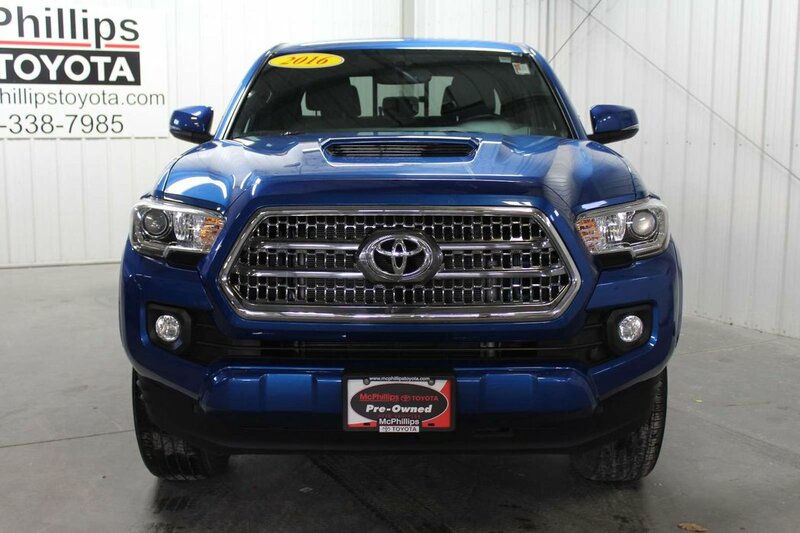 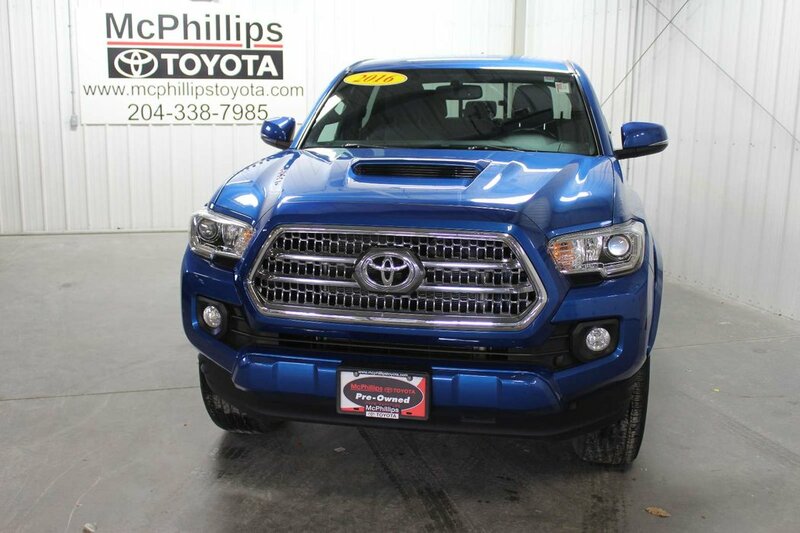 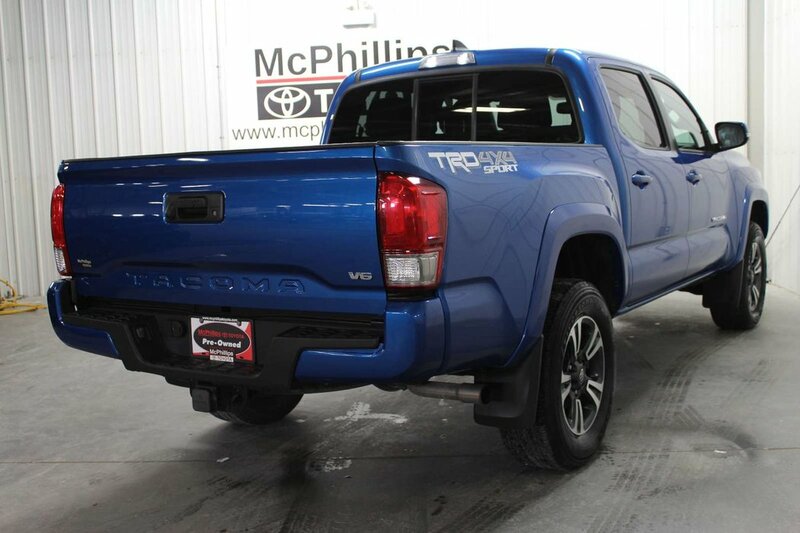 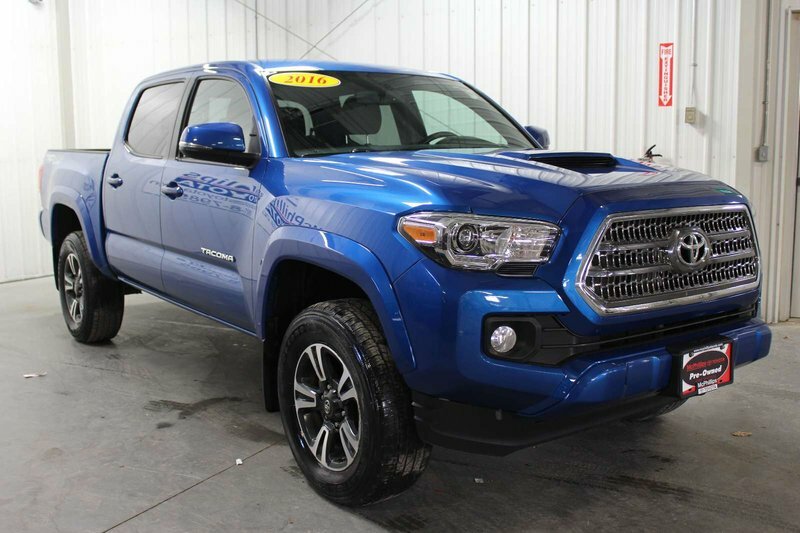 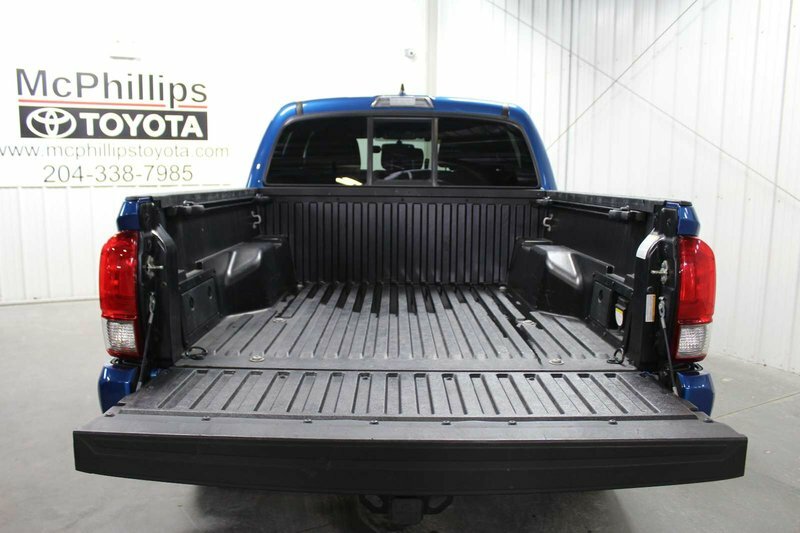 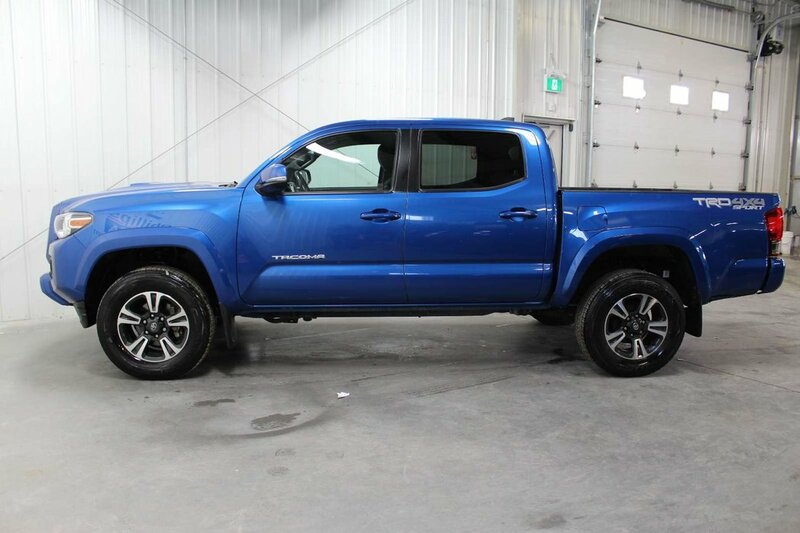 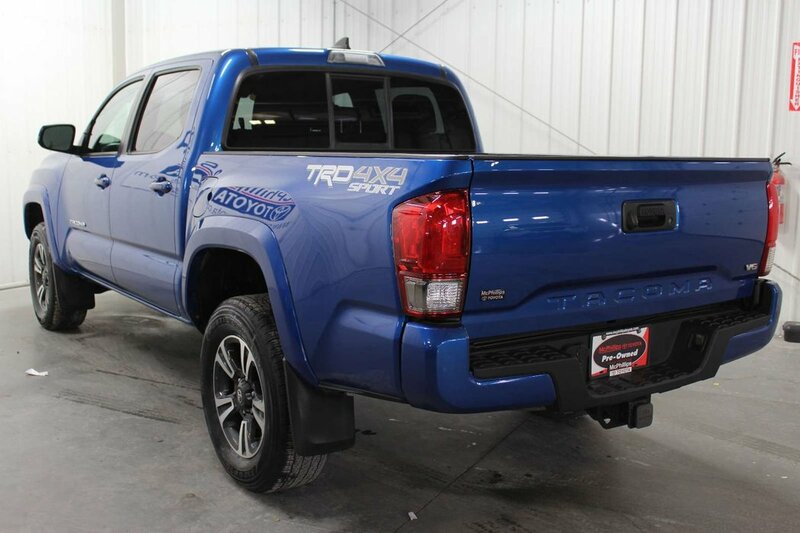 Tackle every challenge with our 2016 Toyota Tacoma TRD Sport Double Cab 4X4 that's ready to go in Blazing Blue Pearl! 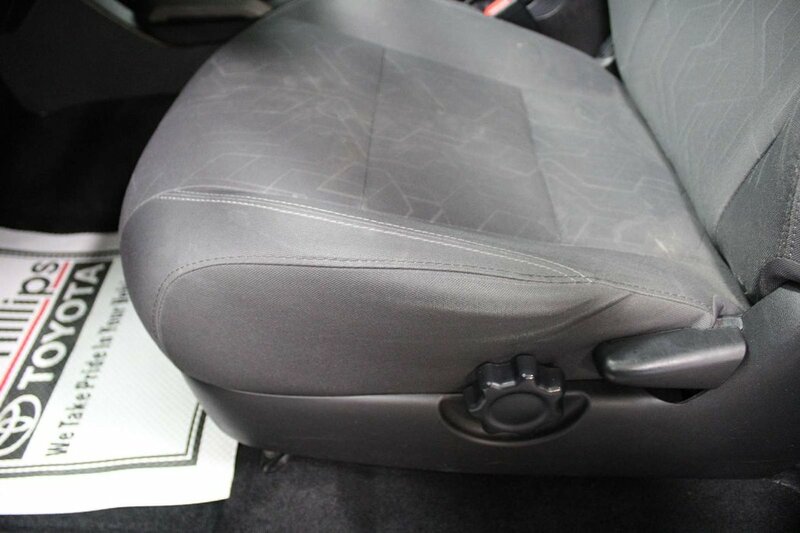 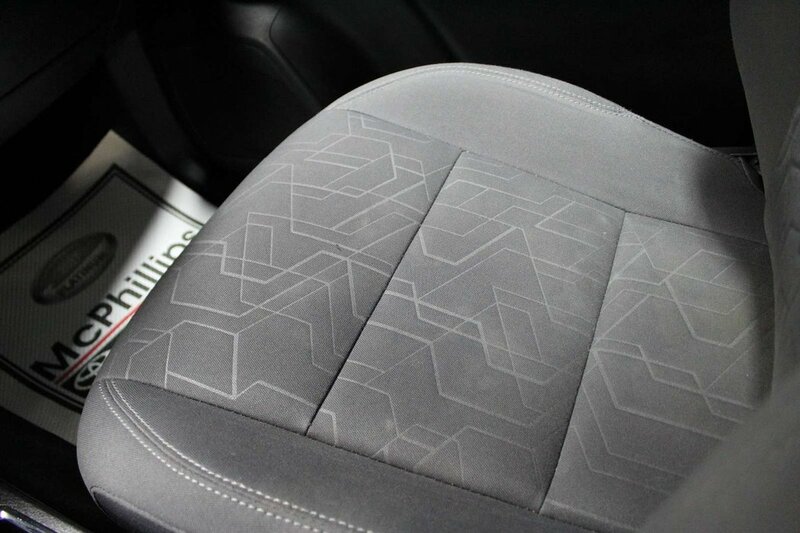 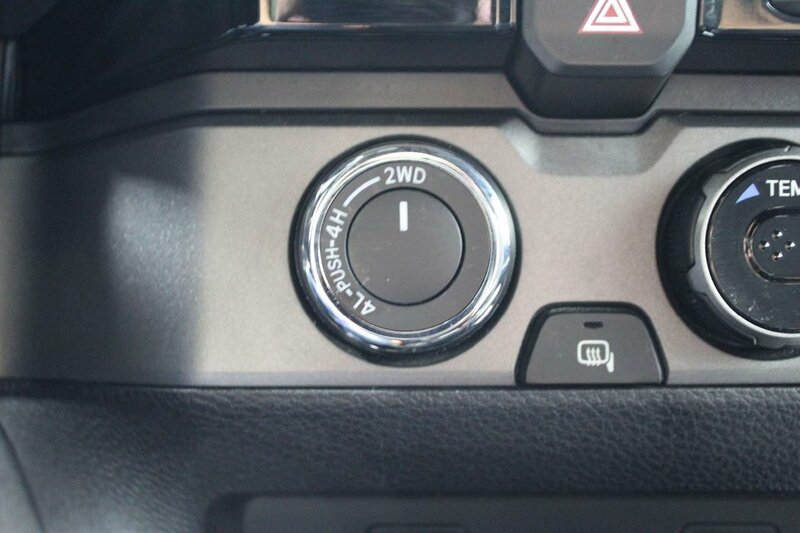 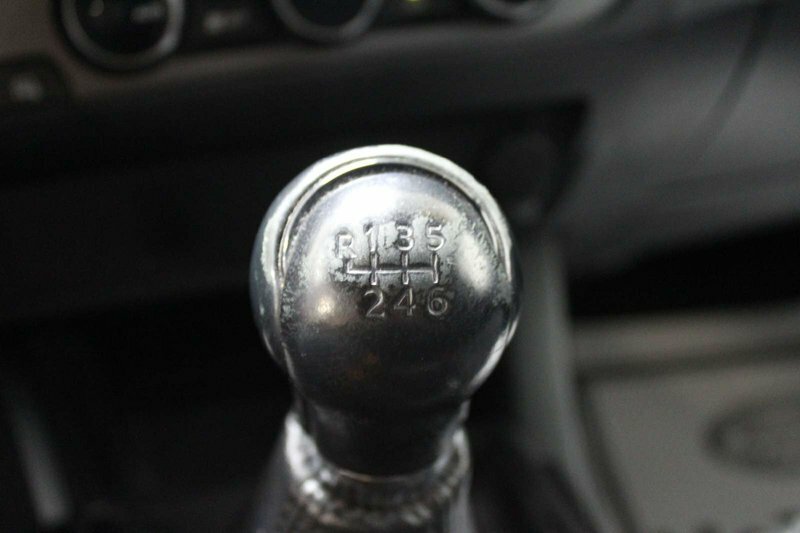 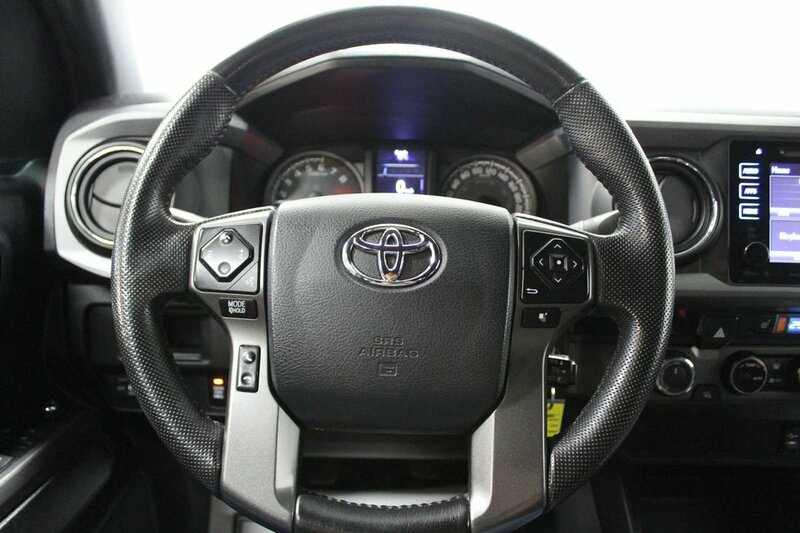 Powered by an impressive 3.5 Litre V6 that offers 278hp while matched to a 5 Speed Manual transmission. 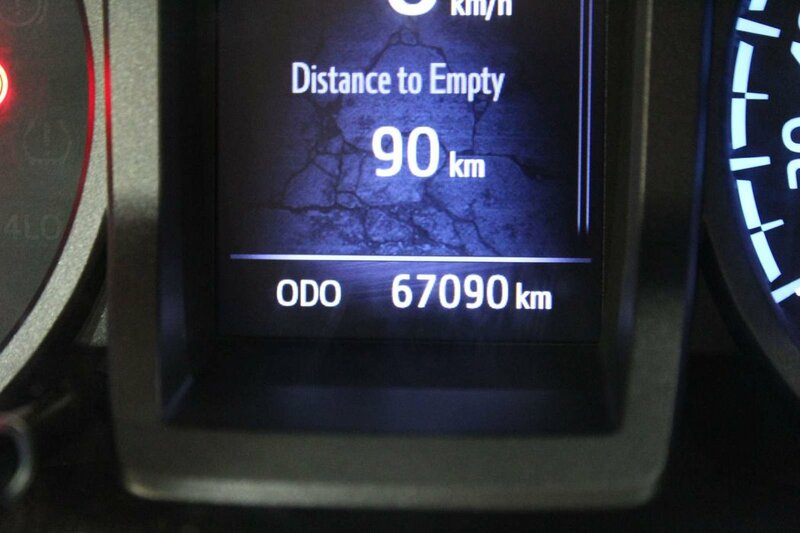 Enjoy remarkable acceleration, the power to tow/haul, and near 9.8L/100km on the open road. 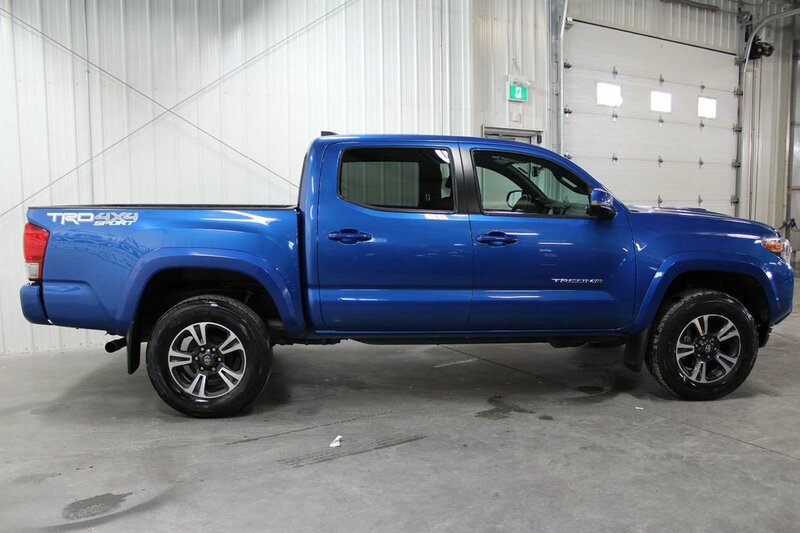 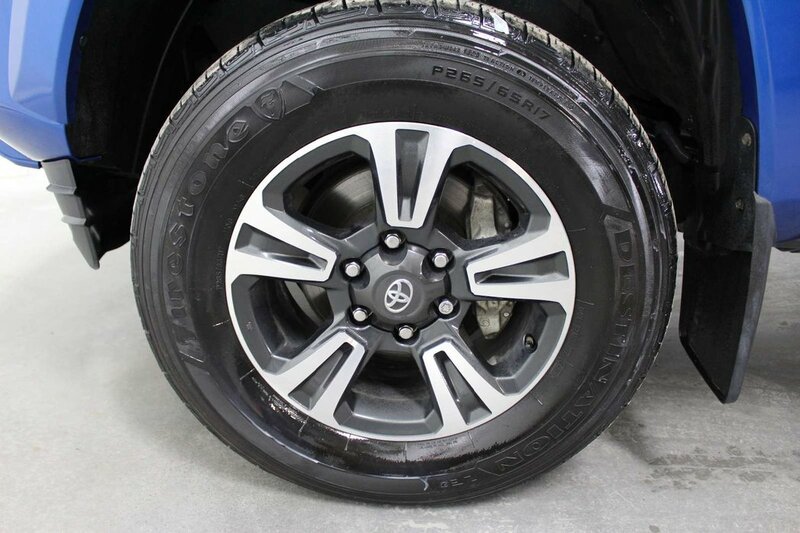 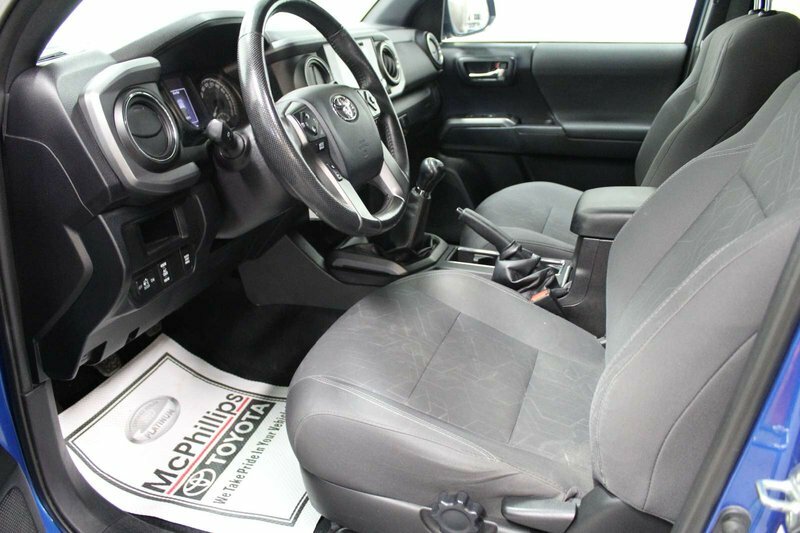 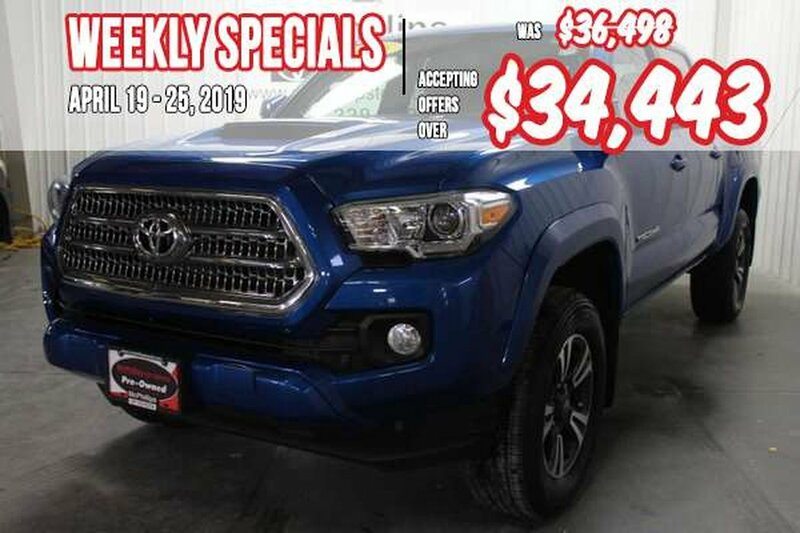 Not too big, and not too small, our Tacoma TRD Sport looks tough-as-nails with its muscular fenders, LED daytime running lights, and tough looking wheels, and will draw you in with the promise of a great ride. 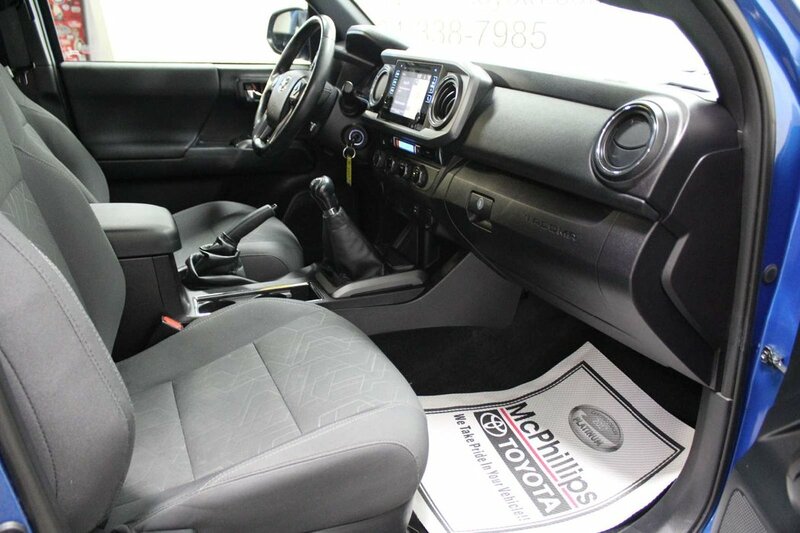 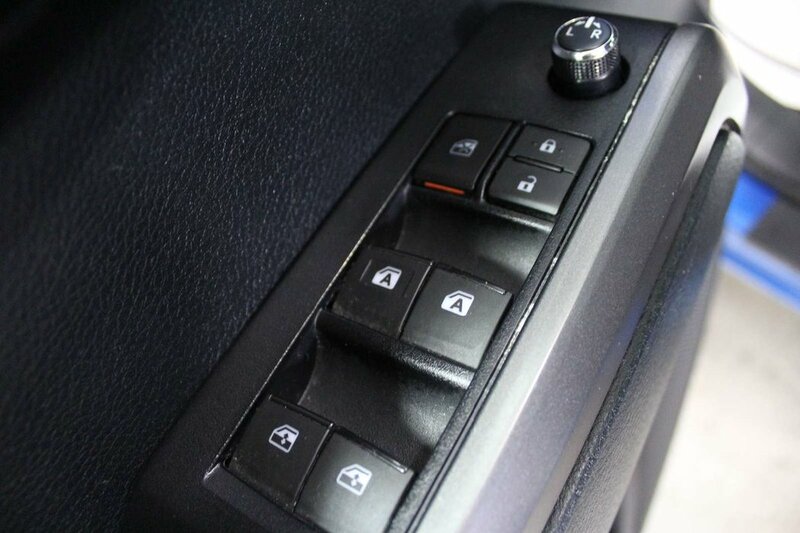 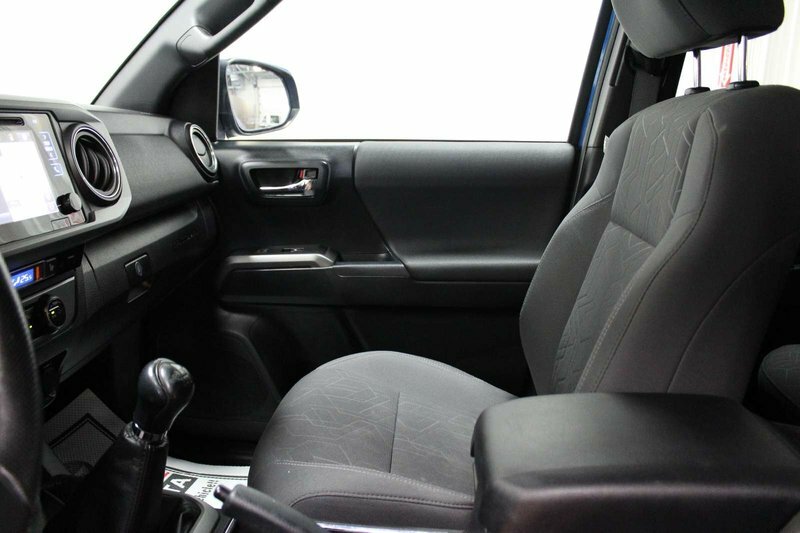 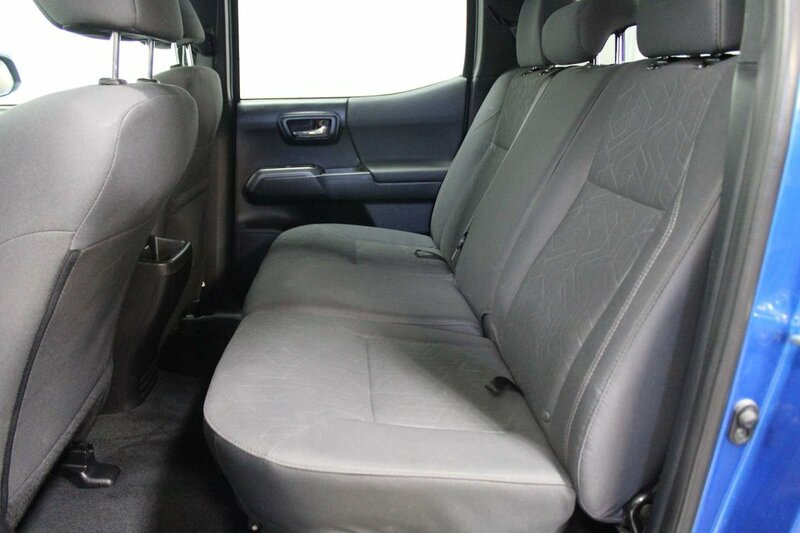 Boasting seating for five, the cabin is ready for action and helps you stay comfortable and relaxed with push-button start, a multi-information display, power windows and locks, and an integrated backup camera. 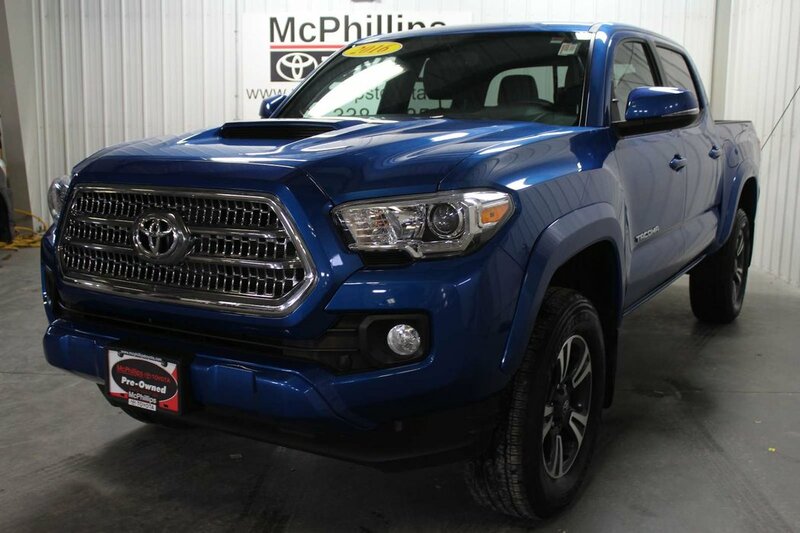 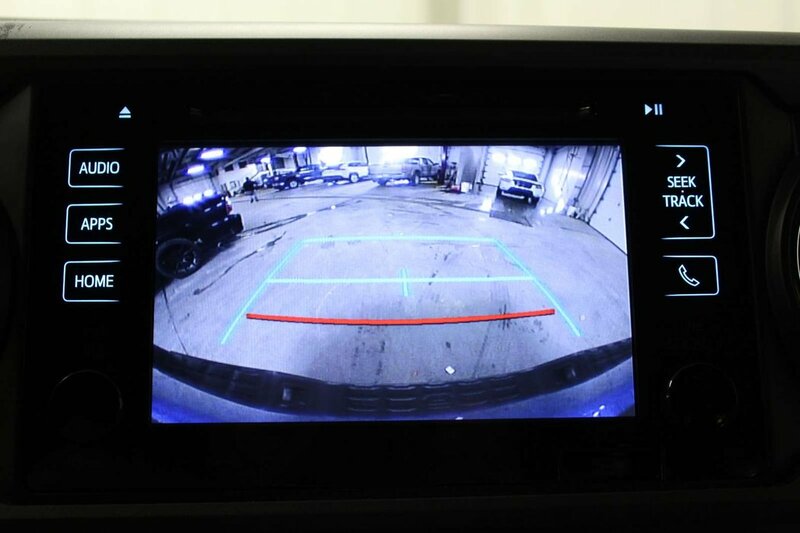 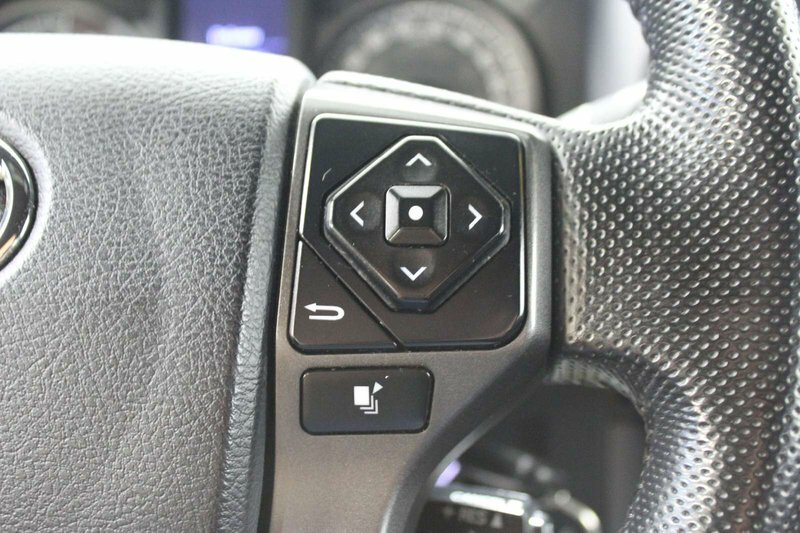 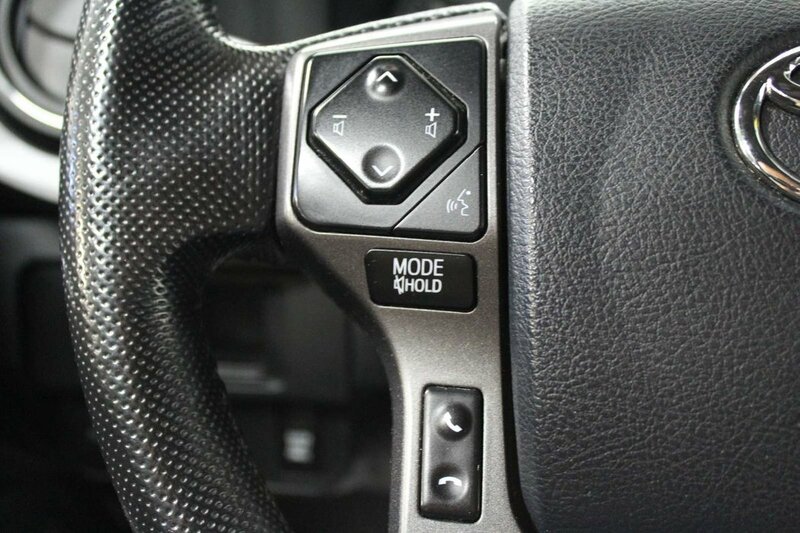 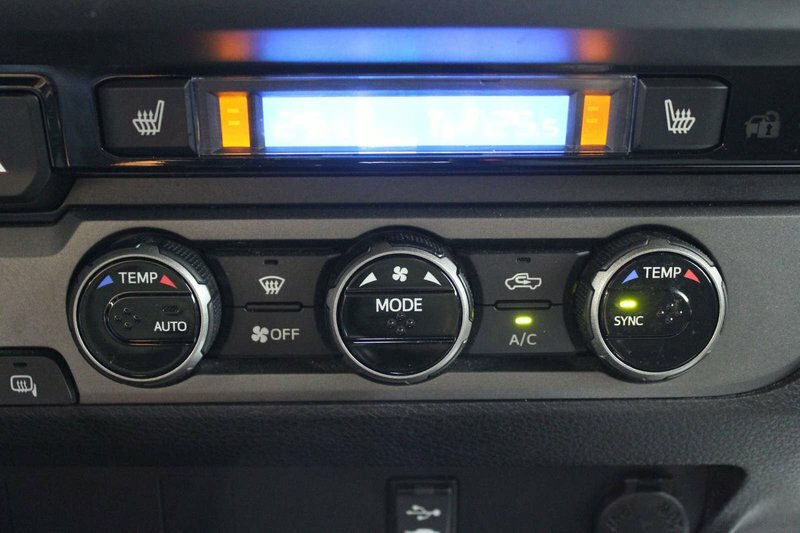 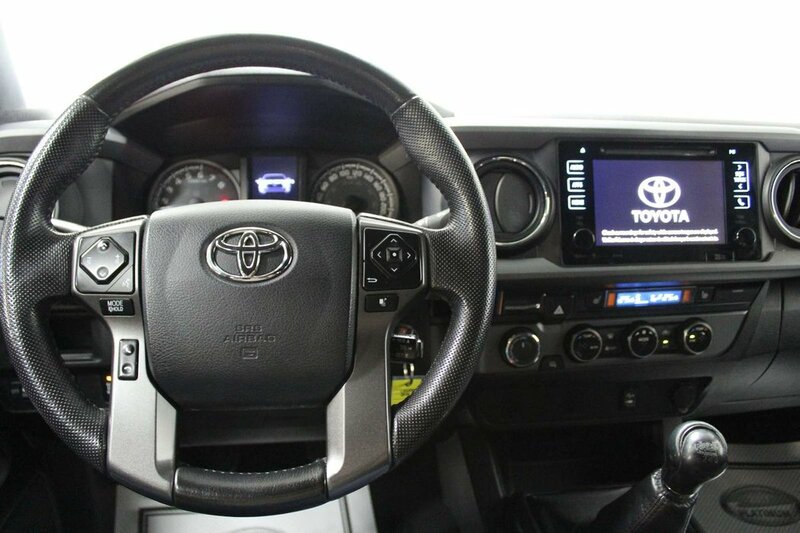 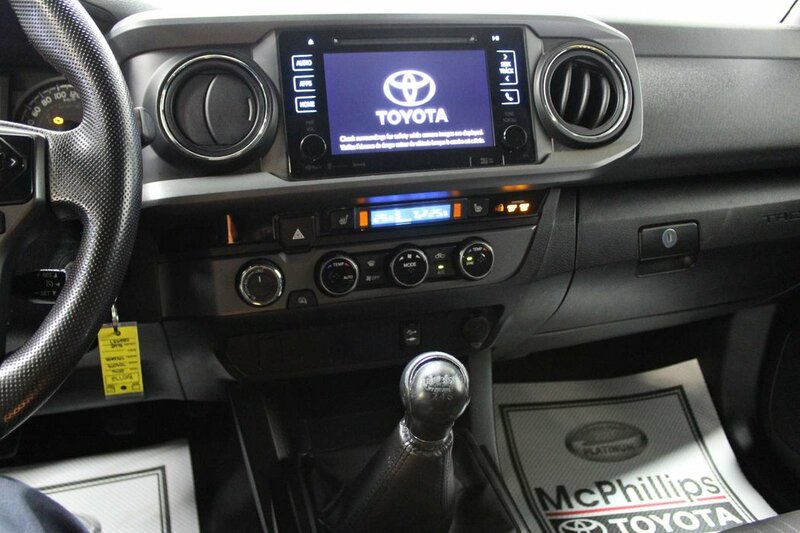 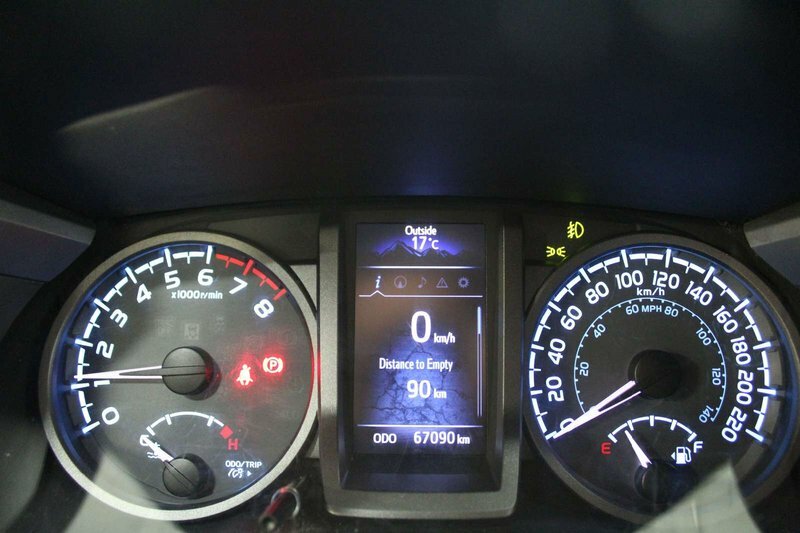 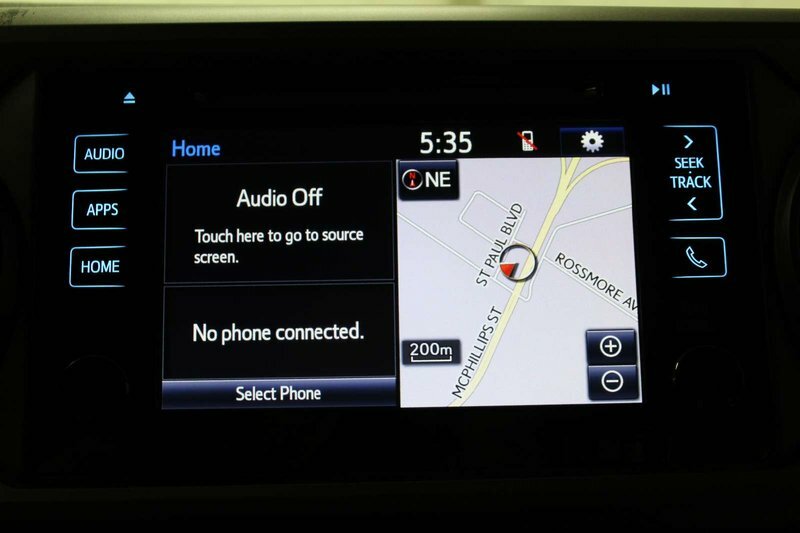 You'll have no problem taking on your day in this great truck that also features premium audio with a prominent display, full-color navigation, wireless smartphone charging, Bluetooth, and available satellite radio.